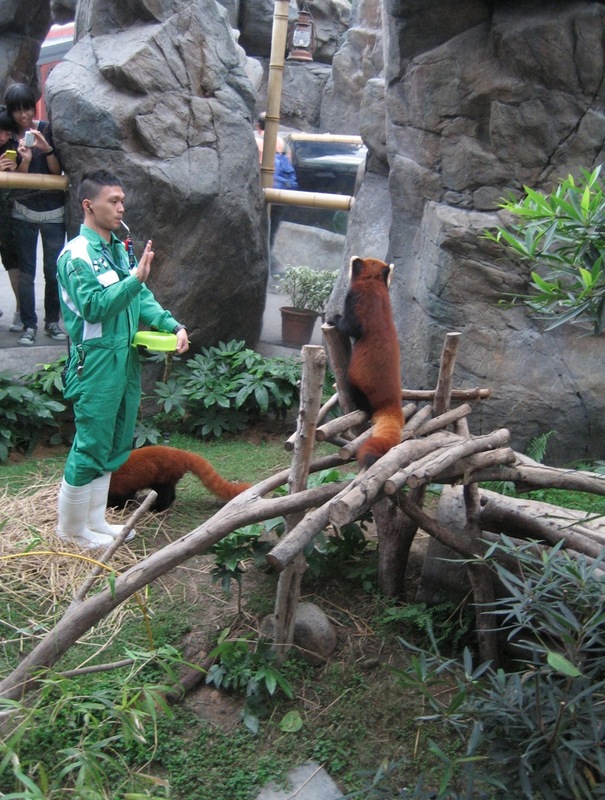 Next to the Giant Pandas in Ocean Park live two red pandas. 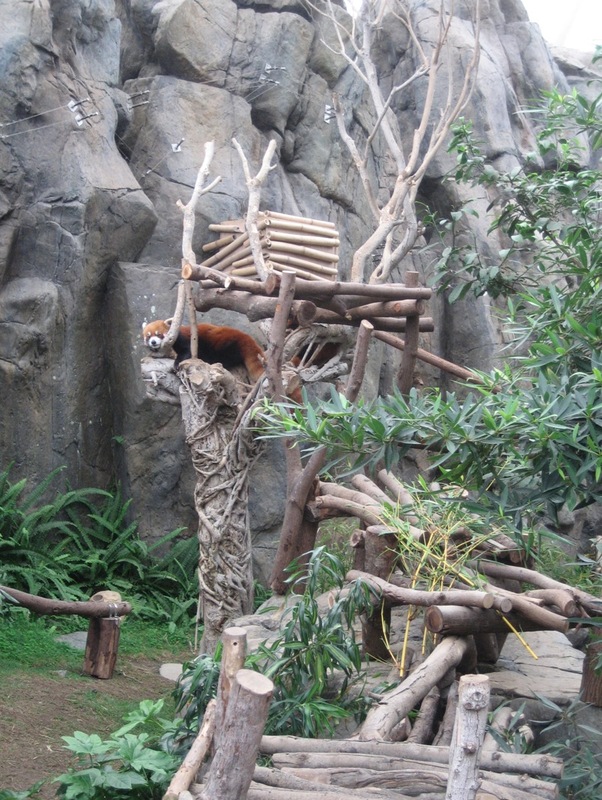 The Latin name of the red panda (Ailurus fulgens) means “fire-coloured cat”, on account of its eye-catching russet fur. Slightly larger than a domestic cat, it has reddish-brown fur, a long, shaggy tail, and a waddling gait due to its shorter front legs. 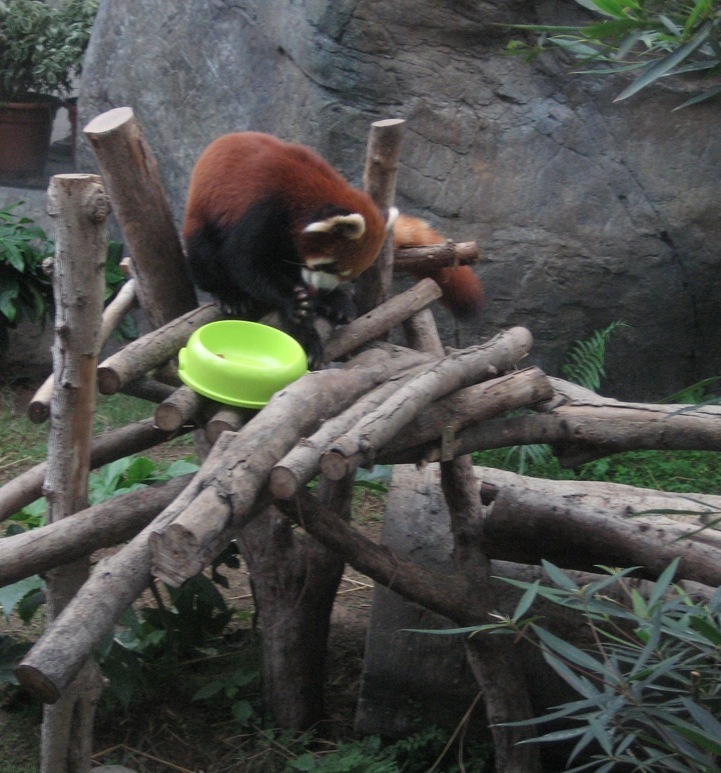 It feeds mainly on bamboo, but is omnivorous and may also eat eggs, birds, insects, and small mammals. It lives exclusively in temperate forests in the Himalayan foothills. To keep out the chill in their native habitat, red pandas may curl up into a tight ball with their furry tail wrapped around their head while they sleep. The ones we saw at Ocean Park were much more active – but then it was feeding time! 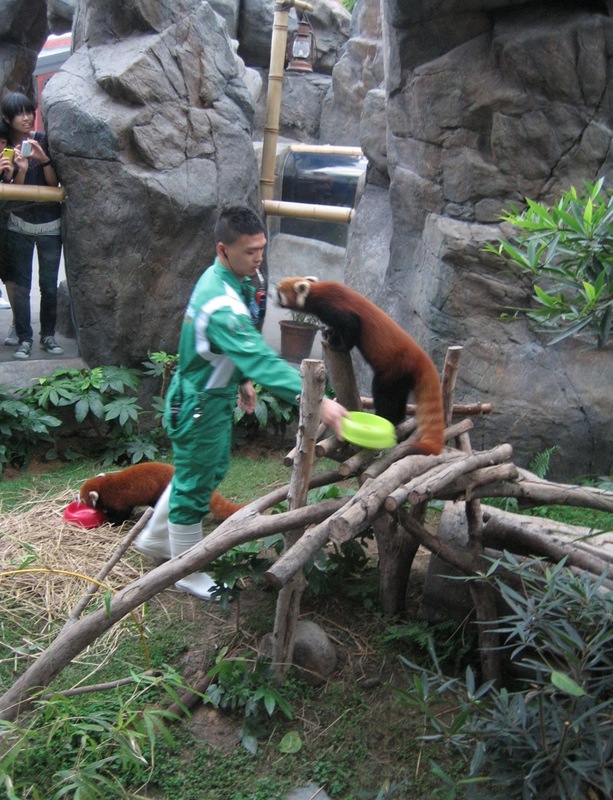 Each red panda received a little bowl with biscuits, and it was cute to see how they held the biscuit in one hand and nibbled at it. The caretaker gave them a few biscuits first and only after they had finished them, he gave them a little more. 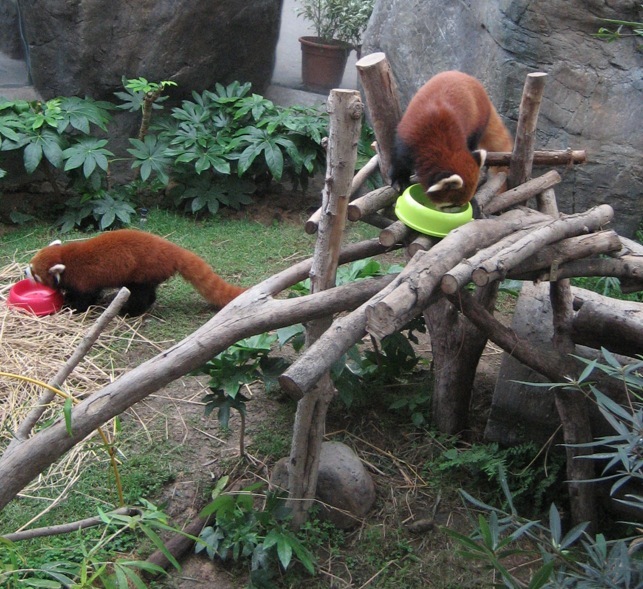 The whole feeding time took only 7-8 minutes, and after that the red pandas rolled up in a little corner and went back to rest. How beautiful ! I wish you could haven taken of their faces. But nevertheless: beautiful creatures!